Hi guys! 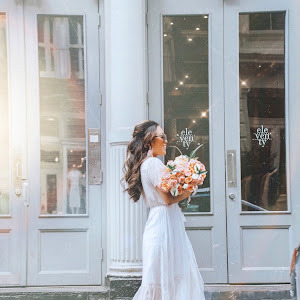 Today I'm guest-hosting for Erin from The Fashion Canvas and Laura from Walking In Memphis In High Heels's Trend Spin Link-Up alongside Jessica from J Petite. I was pretty excited that today's theme was on olive / army green, mainly because now I have a reason to bust out the sequin-sleeve jacket. I'm an early holiday prepper, meaning I get way too excited about holidays and I'm that girl putting up Christmas decor when people are taking down their pumpkins and Halloween decorations. LOL. Also, random fact about me: sequins are my weakness. Not just for the holidays, but in general. I also peruse my Sparkle On Pinterest board more than I can care to remember. Oops! P.S. If you noticed on Instagram when I posted this shot, then you probably remember my #rebel coffee cup. Sometimes, when I'm too lazy to go to Starbucks to get a holiday cup, I make do with what I got. #whitecupsarebetter ;) It's swagEVER. HA. Don't forget to link-up at the bottom! Bloggers: All bloggers will be able to submit their post links via the inlinkz widget below. This will allow bloggers to show off their personal style, find new followers, and meet some great fashionistas! You will also have the chance to be featured next Tuesday for the following trend. For all bloggers we simply ask that you please follow your 4 hosts J Petite, The Fashion Canvas, Gracefullee Made, Walking in Memphis in High Heels, and provide a link to the Trend Spin Link-Up in your post or add the button below to your blog. Don't forget to stop by everyone's blog to see how they rocked the trend! 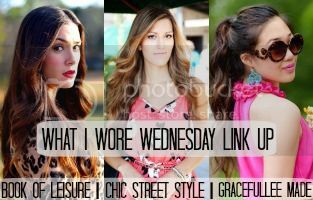 Don't forget to come link-up with me for 'What I Wore Wednesday' tomorrow! 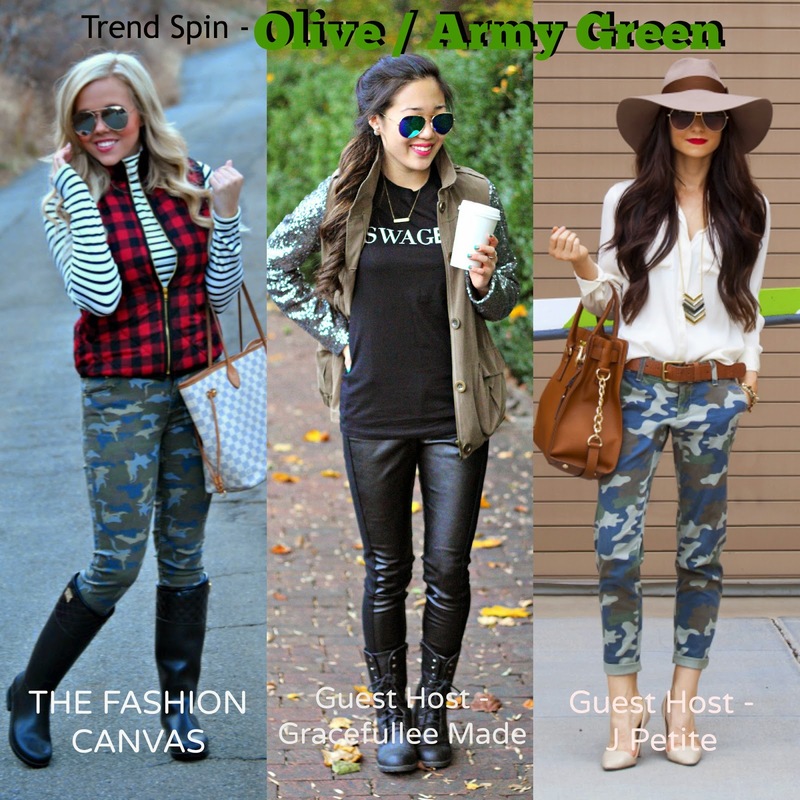 I am so excited that I found your blog through the link up :) I love your sequin and olive jacket. Seriously I think that is on my wish list, or the next time I go shopping. Whichever comes first. I love that you are a NC girl. :) I am too, but I'm a NC girl living in Texas. Hope you have a great day!! I love your jacket! Stopping by from the Trend Spin linkup! Too adorbs for words!!! Come check out my feature/review on Boden's brand new active/yoga wear this week & lemme know what you think!! that jacket is amazing and so unique! i'm obsessed! I love your jacket!! Such a cute look :) Stopping by from the Trend Spin Linkup! !